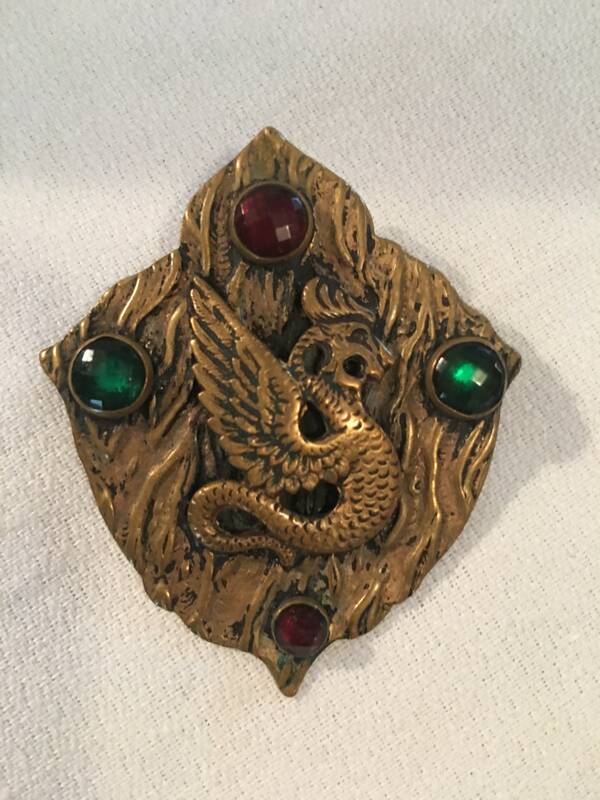 Amazing Gothic Golden Dragon Shield Pin with Gems in Time for Game of Thrones Parties, OLD piece with C clasp, NICE! 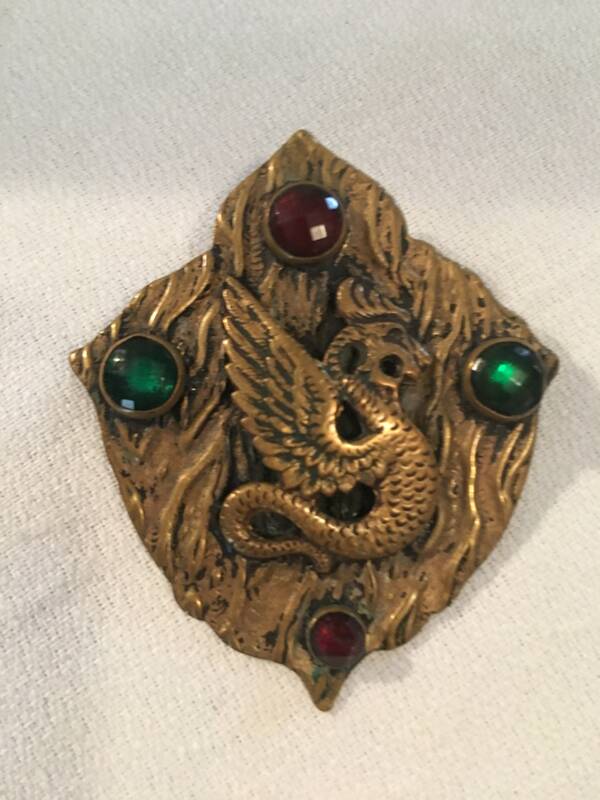 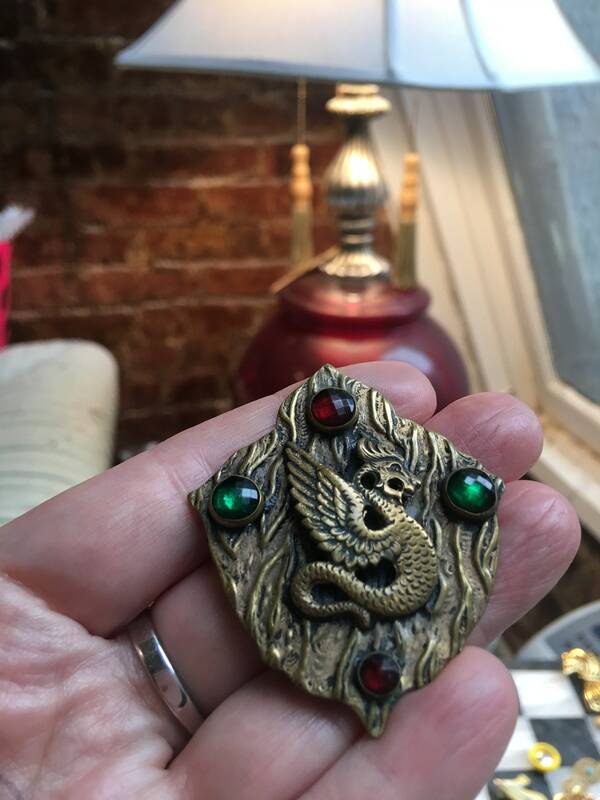 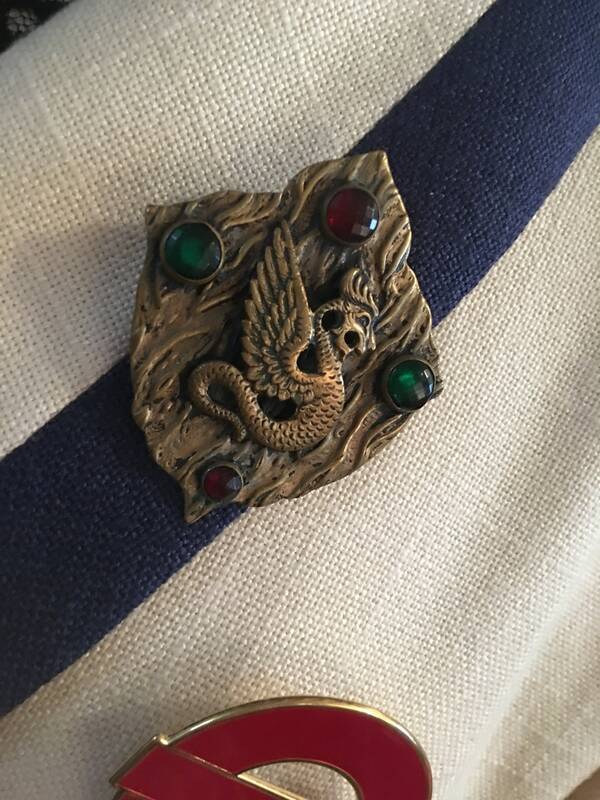 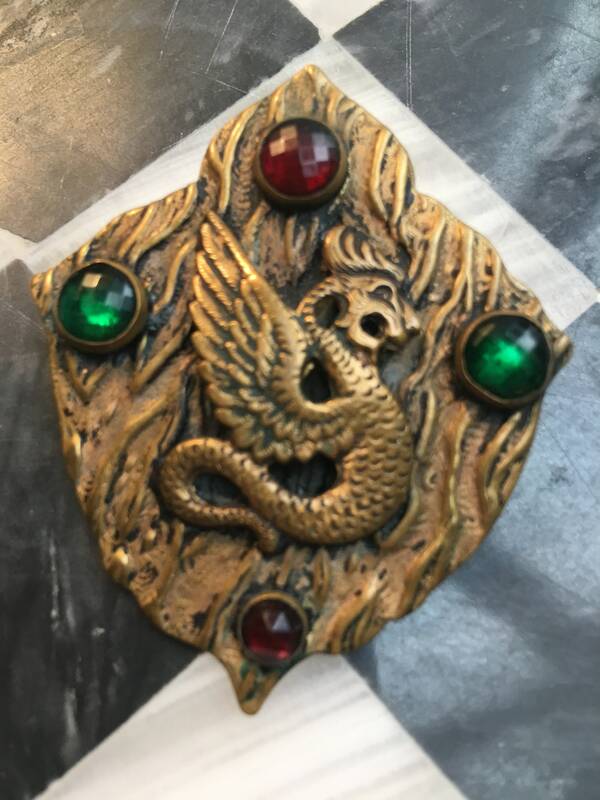 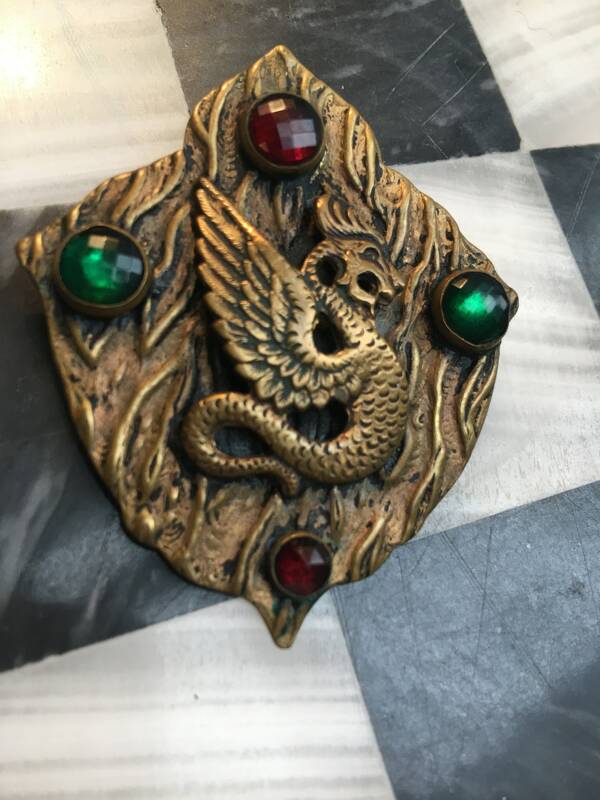 This beautiful early vintage pin is gold tone or brass with an embossed design on the front and back and the front having a flying serpent/ dragon and bezel set highly faceted red and green glass stones. 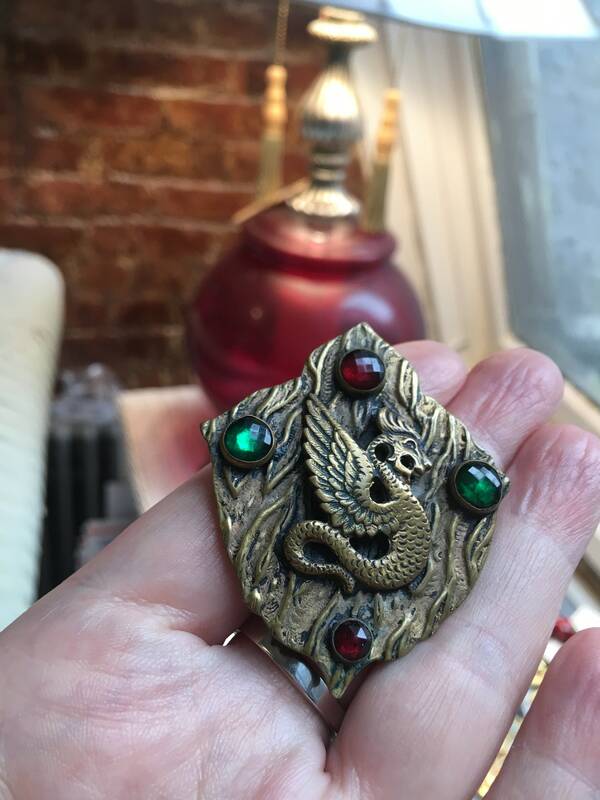 It is just over 2". 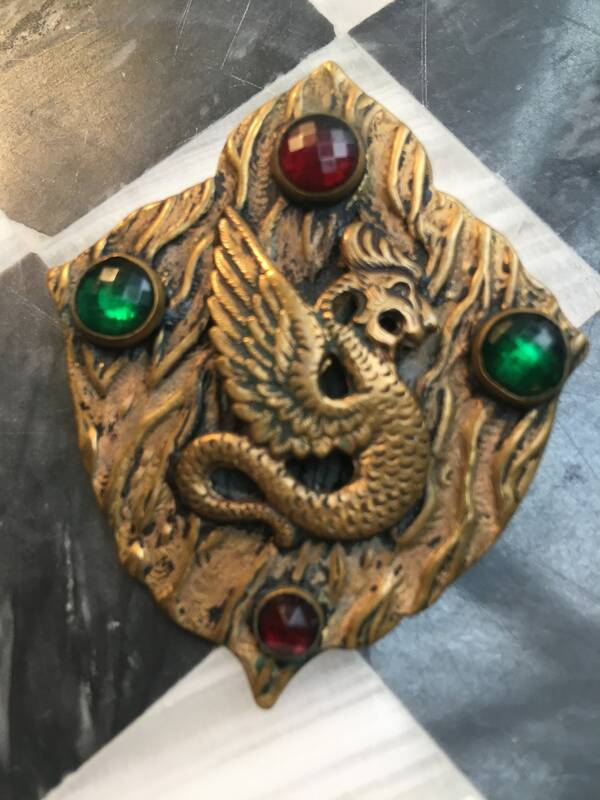 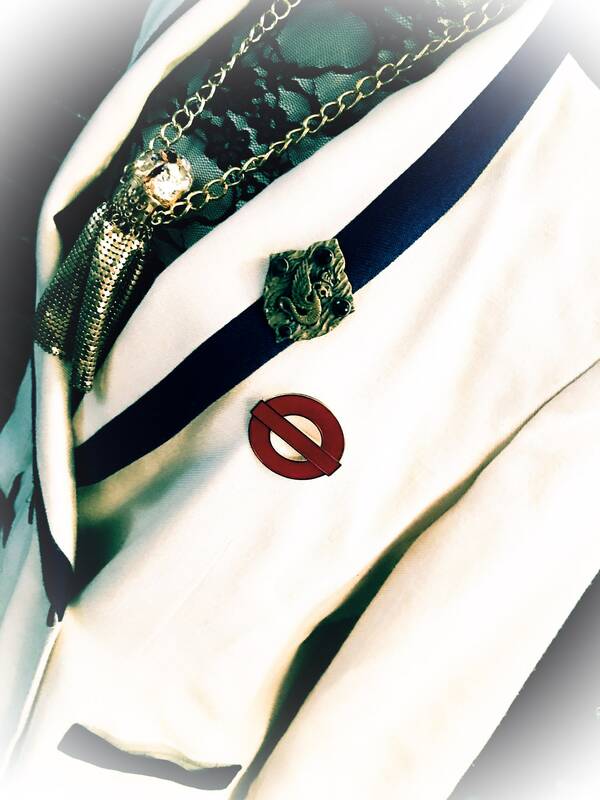 It has an open c clasp. 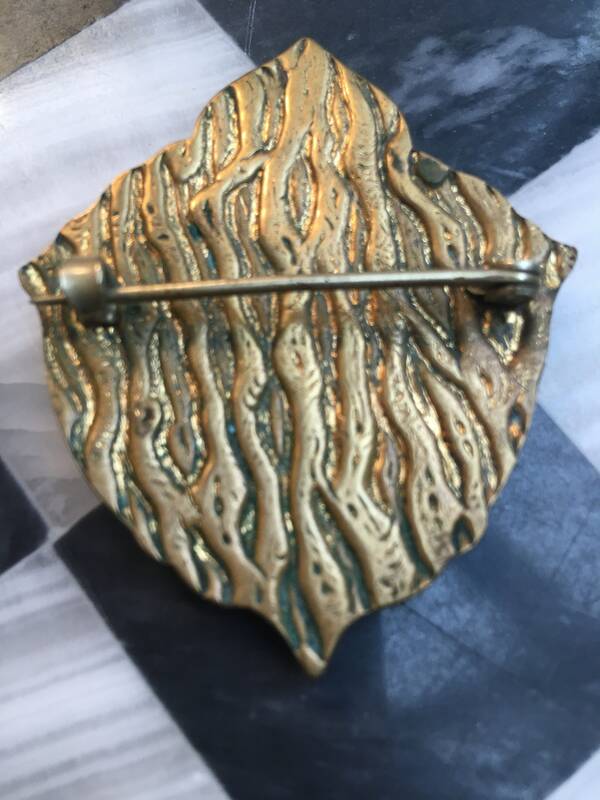 Striking piece!